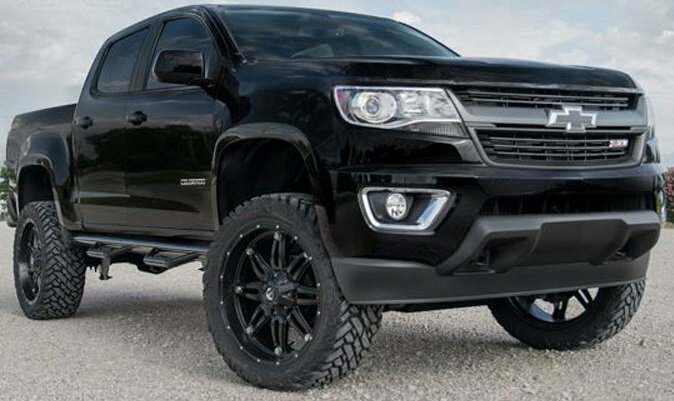 The TRIFECTA Advantage+ Powertrain Calibration for the MY2015+ Chevrolet Colorado allows speedometer recalibration for aftermarket wheels and tires, and includes a TRIFECTA flash loader. VERY happy with the product and timely customer service. Put a 6" lift and 33's on my 2016 Colorado and this tune not only took care of my speedometer calibration, but the tune, itself, still gave me several more MPG's than I had before the modifications. Even after the bigger tires and lift! Highly recommend! Thanks! Best thing I’ve done so far for my truck was to install this tune. Very noticeable change in over all performance. More responsive, more power, more fun. One of my main reasons for this was the MPG improvement. My city adverage went from 17.6 to 20. Hey is up from 23/24 to easily hitting 25 and sometimes even 26. Very happy with the Advantage+ tune! The calibration was downloaded the same day I paid for it, and I received the upload cable 2 business days later. Installing the tune was very easy. (Of note, after installation, it will take a little while for the external thermometer to work correctly.) EXTREMELY happy with the performance - why didn't Chevy tune this 3.6 from the factory this way? Seat-of-the-pants performance is fantastic - better than the V8 Tundra I used to own. And the recalibration of the speedometer to account for my larger tires is spot on. 5 stars. I just finished my install today and had to do some running around and I can not begin to tell you how much nicer this truck runs. I have always hated the lack of power and reluctance to downshift, or even the trucks inability to just be in the right gear for the right speed and torque requirement. GM definitely missed the mark in the stock tune, be it for EPA ratings, or the want to provide higher MPG numbers to the consumer at the risk of undesirable drive-ability. This tune has the truck driving like it should of been from the factory. Immediately after install I took my wife to the airport, which involves 15 minutes of intermediate roads (25 to 45 mph and open stretches with occasional stoplights) and about 20 minutes of highway. I stayed in "sport mode" which is achieved by pressing the left steering wheel thumb wheels 3 o'clock button to turn the cruise control off (no white little speedo with a little arrow showing in the bottom left of the DIC) for most of the drive and never once felt the usual lack of power when in a situation that the stock tune allowed the truck to drop the rpms to barely 1000 while traveling at 30 mph, only to stumble when asking for power to accelerate. Once on the highway I tried ECO mode, which was achieved by turning on the cruise control by pressing the 3 o'clock button again. I went ahead and set a cruise control speed for 67 and did my highway driving, very similar to the stock tune at speeds greater than 50 mph. When I exited the highway I wasn't thinking about it and stayed in ECO mode, and at the airport felt a slight under power situation like stock when climbing the ramp for departures, no where near as bad as the stock tune would have reacted, but a quick hit of the 3 o'clock button and you feel the truck come to life and the stutter disappeared. If you are on the fence, or have been looking for an answer to your dislike of how the truck responds to low rpm throttle requests, get the tune. Well worth it in my opinion, I loved the look of my truck and hated its powertrain...now I love both. 4) I didn't buy a Prius, mileage is not a concern to me. Its a a new truck and coming from a 17 year old previous vehicle...anything is better! Bottom line, if you are unhappy with your truck performance, this tune it is. Its not something outlandish, nothing crazy, but feels like what you would have expected the stock tune to be. Thank You Trifecta now I can't wait to drive my truck again.